Gain the advantage of the Flow Motion Technology rocker through a more efficient transition of your balance point from the center to heel. Only 1000 pairs available at 20% discount. Enter a new level of skating precision and power to elevate your game. The Marsblade FE and our patented Flow Motion Technology is a huge step forward in performance and will change your relationship with the ice. 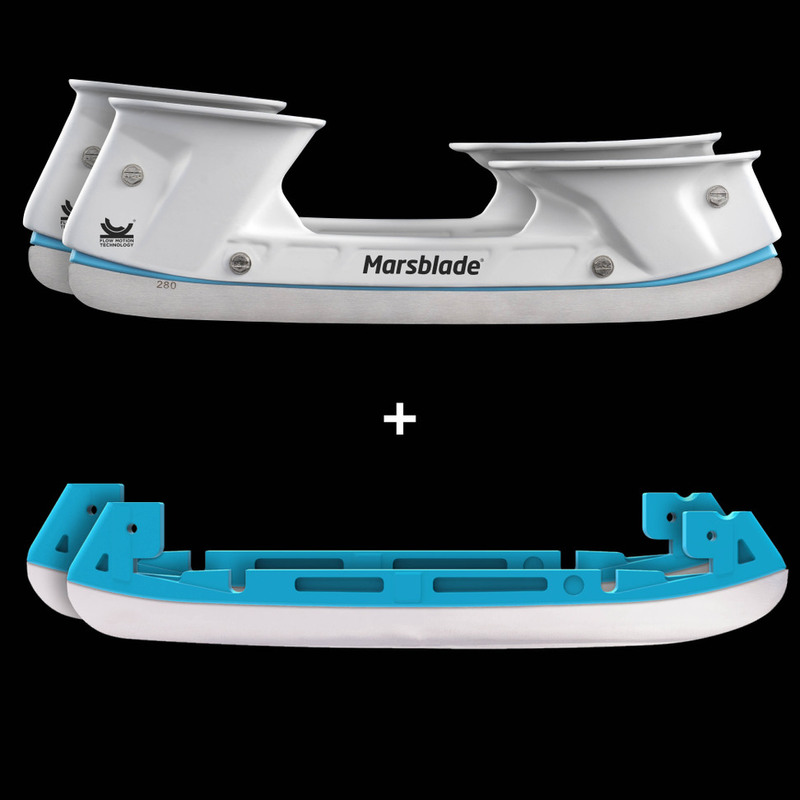 The Marsblade FE is designed to fit most hockey skate brands and models, coming with high quality Tydan steel. Get the advantage of our patented Flow Motion Technology now.